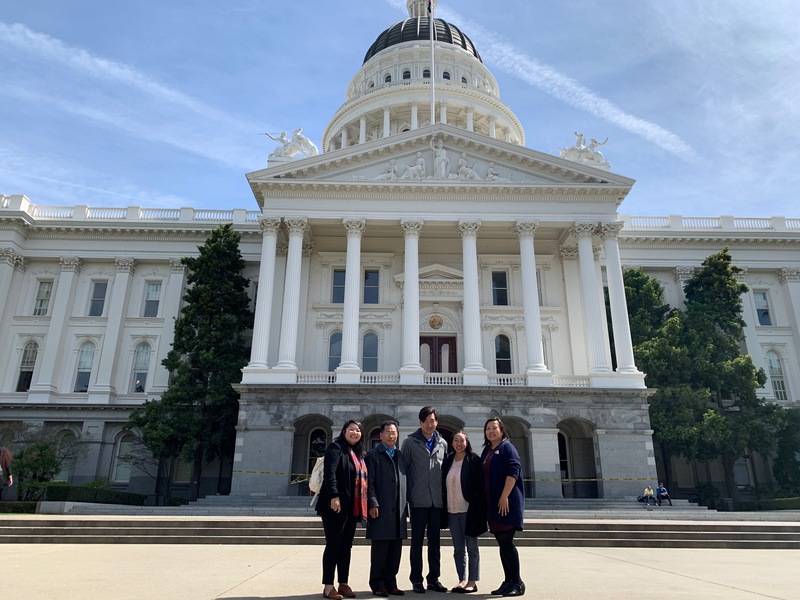 SACRAMENTO, CA – Yesterday, SEARAC, along with a coalition of criminal justice and immigrant rights organizations, met with members of California Gov. Gavin Newsom’s staff to deliver a memorandum laying out detailed recommendations to implement and build on AB 2845, a bill passed last year to provide greater transparency and accountability in California‘s pardon and commutation process. The memo was crafted after surveying 100 pardon and commutation applicants and draws from years of experience serving directly impacted community members seeking pardons and commutations. 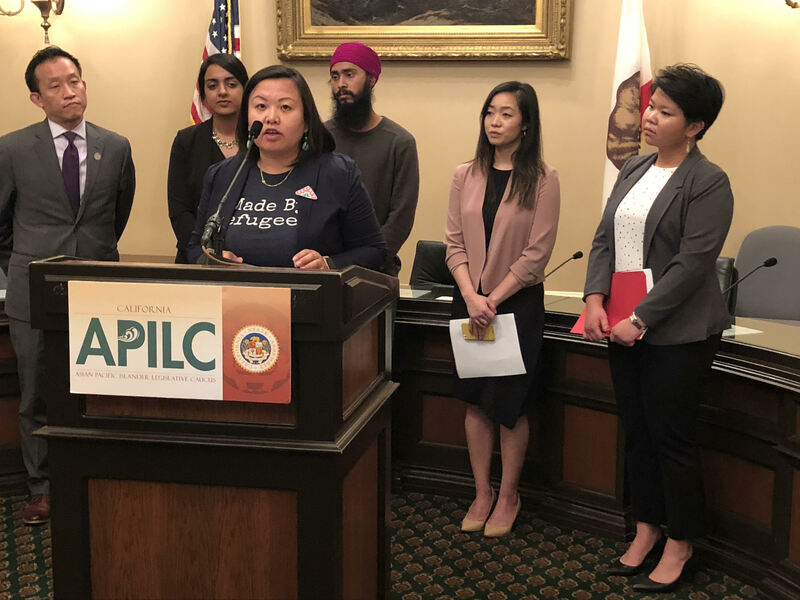 The Pardon and Commutation Reform Coalition, a coalition of 11 immigrant rights and criminal justice reform organizations, provided in the transition memo nine primary recommendations aimed at ensuring that the implementation of AB 2845 meaningfully serves those applying for pardons and commutations. These include the establishment of clearer guidelines, timelines, and accessible resources for applicants; the creation of an independant pardon and commutation commission; and resubmission of applications to the California Supreme Court that were rejected without justification. 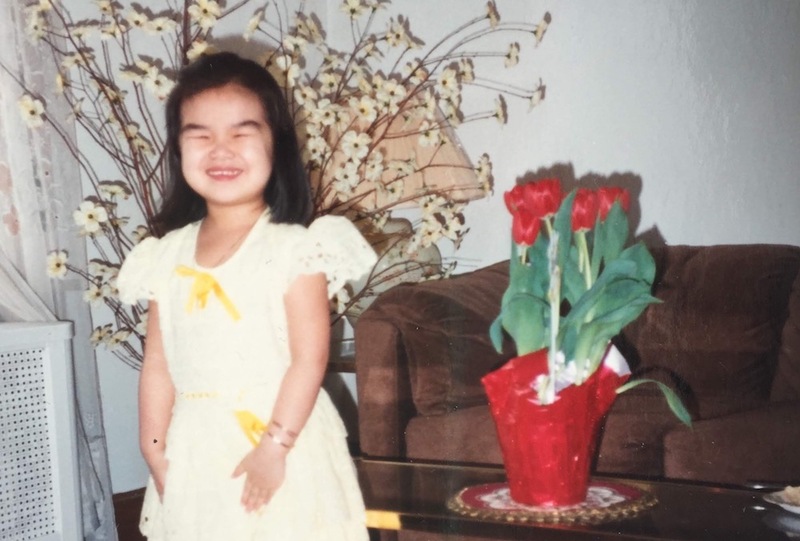 Clemency opportunities are invaluable for those serving life without parole and life sentences, as well as one of the only possible avenues to prevent deportation for many immigrants. Under former Gov. Jerry Brown, the role of executive clemency was expanded to recognize the harm caused by the mass incarceration crisis and to underscore the value of redemption and rehabilitation. The Pardon and Commutation Reform Coalition is comprised of Asian Americans Advancing Justice – California, Asian Prisoner Support Committee, CaliforniaCoalition for Women Prisoners, Coalition for Humane Immigrant Rights, Council on American – Islamic Relations, Immigrant Legal Resource Center, Legal Services for Prisoners with Children, PICO California, Southeast Asia Resource Action Center, Root and Rebound, and Youth Justice Coalition. 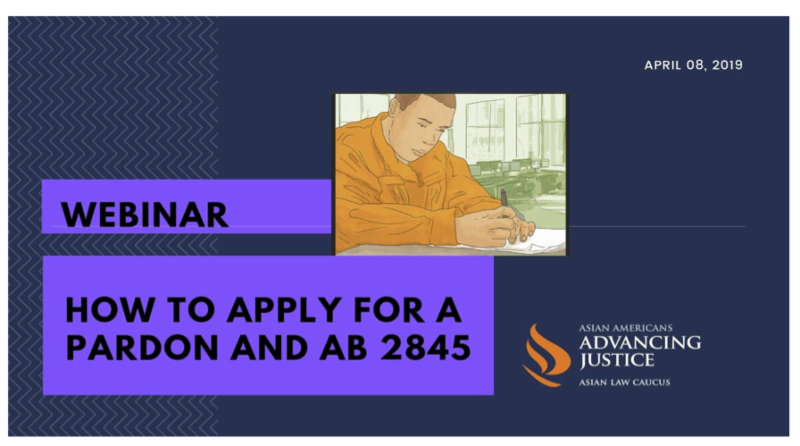 Advancing Justice – Asian Law Caucus, Immigrant Legal Resource Center, and Youth Justice Coalition are co-sponsoring a free webinar to learn about the pardon process in California. pardons by themselves, family members who are assisting a loved one with a pardon application, and private and nonprofit attorneys.